A longer article for the Perspectives on Terrorism journal, finally looking in some detail at the Anders Behring Breivik case using the Lone Wolf prism that I laid out in this earlier paper. More substantial pieces on this general topic in the pipeline. Anders Behring Breivik’s heinous massacre in Oslo cast a light once again on the dangers and potential dangers posed by ‘Lone Wolf’ or ‘Lone/Solo Actor’ terrorists. Governments and security agencies have to reconsider their counter-terrorism approaches to try to figure out how it is possible to counter or detect such individuals. This article will examine what lessons can be drawn at this early stage from Norway’s experience with Breivik that may be applicable or relevant for future planning. Before proceeding, a caveat must be included to state that at this stage many details are still unknown. It seems clear that Anders Behring Breivik was responsible for the atrocities in Oslo and he has admitted as much, but a court case is still underway. However, it is still possible to draw some early conclusions to understand him and the broader phenomenon better. Using a structure first laid out in the ICSR paper “A Typology of Lone Wolves: Preliminary Analysis of Lone Islamist Terrorists,” this short article seeks to apply some of the lessons from there to Anders Behring Breivik before drawing some conclusions that might be useful from the perspective of trying to counter such individuals in the future. Admittedly, any recommendations are drawn from a very limited dataset, but analyzing an individual as effective as Breivik in a methodological manner is doubtless useful in preventing such acts in the future. The first point in understanding Breivik as a Lone Wolf is to understand his personal biography. Unless otherwise indicated much of Breivik’s information is taken from his self-published manifesto, “2083: A European Declaration of Independence” that is available online. Anders Breivik appears to have come from a broken home, though it does not seem to have been an outwardly traumatic experience. Born in London in 1979 to an economist at the Norwegian Embassy and a nurse, Breivik’s parents split up a year after he was born. He moved back to Norway with his mother, while his father moved to Paris and re-married (it appears to have been his father’s third marriage). According to Norwegian contacts, Breivik lived in a relatively affluent area though was not in an affluent household himself. Breivik reports making a number of visits to his father in Paris, but these slowly faded over time. He claims his father cut off contact when he was fifteen years old (he says his father was not happy with ‘his graffiti phase’ when he was 13-16) and when Breivik tried to get back in touch was told that, ‘he [his father] was not mentally prepared for a reunion due to various factors, his poor health being one.’ Nevertheless, Breivik is clearly fixated by a patriarchal society, dedicating a section of his screed to defining it and its importance. In 2006, he decided to move back in with his mother in an attempt to save money, though he seems to have been paying rent to her. He is quite cold to her in his ‘compendium’, saying that she ‘was infected by genital herpes by her boyfriend (my stepfather) when she was 48,’ something brought on by her ‘lack of good judgment and moral[s].’ This sense of revulsion towards his mother was something that she later reported him reacting on in person as well, accusing her of infecting him and wearing an antiseptic mask around the house. He also says his sister has suffered from venereal diseases due to her loose morality and described them both as having ‘not only shamed me but they have shamed themselves and our family.’ Both of his parents have been quoted as being shocked at their son’s actions and his father in particular said his son ‘should have committed suicide’ after his act. Breivik describes his teenage years as ones where he was popular and dabbled in what he calls the ‘hip-hop movement,’ meaning graffiti communities and rap music culture. This led to some clashes with police and community services. However, by the time he was sixteen, he claims to have noticed that his peers in this movement were failing academically and he abandoned them to focus on his schoolwork. This account was disputed by friends quoted in the press who denied he was as successful or popular as he claimed and that while he did get into some trouble with the police for his involvement in graffiti gangs he got out of it by informing on friends. At around this time he claims to have fallen out with Arsalan, his close Pakistani Muslim friend whom apparently told another person to punch Breivik for ‘no reason.’ This attack is the second he records from his youth by Muslims and seems to be something of a breaker in his mind. According to Arsalan’s father quoted in the press, this account does not accord with the facts and the two of them (Arsalan and Breivik) were only friends at primary school. Two other claims from his personal biography about his youth are that at age 15 he chose to be baptized and confirmed in the Norwegian State Church and that he avoided military service at age 18 ‘because I didn’t feel any loyalty to the ruling political parties.’ Neither have been verified or denied in the press. He appears to have maintained an interest in politics throughout his late childhood. At 16-17, he says he joined the Progress Party Youth Organization (FpU) who were ‘anti-immigration and free-market.’ But he seems to have rapidly become disillusioned with political parties in Europe and by 2000 ‘realized that the democratic struggle against the Islamisation of Europe, European multiculturalism was lost.’ By his own account, it was his government’s involvement in the attacks on Serbia (NATO bombings in 1999) that ‘tipped the scales.’ However, he continued to be involved with mainstream politics and in 2003 claims to have been a candidate for the Oslo City Council on behalf of the Oslo Progress Party. He was also on the board of a local school and retirement home, both of which he claims were political positions he chose to bolster his candidature. By the early 2000s he had concluded what he wanted to do with his life ideologically (more on that in a later section), and apparently focused on making money to fund his cause. He worked as a ‘mid level leader’ in a customer service company while running his own outsourcing programming services company on the side. He claims this was so successful that by May 2003 he had quit his day job and focused on his company called ‘E-Commerce Group’ that had two employees in Norway, two in Russia, and one each in Romania and Indonesia. This was a success and by age of 24 he claims to have earned his ‘first mill’ in Norwegian Kroner. By 2005-2006, the economic recession hit and he shut the company down filing for bankruptcy after withdrawing what funds he could. He then says he spent three years focused on writing his ‘compendium’, while also playing World of Warcraft ‘part-time’ for the first 12-month period. He also admits to having lost considerable funds trying to play the stock market between 2005-2008. In his ‘compendium’ he starts to keep a relatively regular diary in the autumn of 2009, during what he describes himself going into a ‘phase shift.’ In November 2009 he spends some time trying to help develop a newspaper, then he spends two months ‘email farming.’ This is mostly a period of isolation, but he reports hanging out with friends and deceiving them about what he is up to with stories of being fixated with online games or letting rumors spread that he has a secret homosexual relationship. Living at home with his mother towards the end of his operation, she reported that he became obsessive in talking about politics and history and displayed all sorts of paranoid behavior in the run up to the attack. Aside from his active interest in politics and his terrorist plotting, none of this is a particularly distinct public biography; by many accounts Breivik was a typical Norwegian boy who appears to have veered way off the path. Breivik came from broken home and had strained relationship with his father. He seems to have been obsessed with his mother as unclean (according to one report in the press, he described his mother as his ‘Achilles heel’ and a person who would make him very emotional). Breivik encountered issues early in his career that sent him in a different direction. His career as a politician was squashed after he was defeated by a rival, leading him to abandon mainstream politics altogether. Breivik tried to work within the system but ended up being betrayed by it. Having worked and sought a position in political life from a young age, when he tried to graduate into a real political position, he was unable to. Nevertheless, Breivik was able to function seamlessly in society prior to his action. At this stage of the investigation, it looks like Breivik was acting alone (see below for more details on his connections), but he was driven to carry out, or attempt to carry out, an act of terror deploying a rationale that was dictated by an extremist ideology. Using what information is at this moment available, this section will explore what we currently understand about Breivik’s ideology. Some caveat must be added here to say that this assessment might be confused by Breivik’s ‘insanity’ ruling, but at the same time, his ideology is worth analyzing given its complete and considered nature. Much has been written in the press about Breivik’s motivation for carrying out his heinous act. Most of this is drawn from his own supposed writings that appeared on the Internet in the hours prior to his attack on Oslo. The document is entitled “2083: A European Declaration of Independence” and is referred to throughout as a ‘compendium’. Drawing heavily on online sources and websites (he is a particular fan of a number of prominent right-wing, anti-Muslim or anti-immigrant bloggers and writers), the document is a distillation of this information describing the battle Breivik sees in Europe between advancing hordes of Muslims and the indigenous Christian populations on the continent. Dotted with his own experiences, the vast majority of the document quotes others, with much of the rest made up of a detailed manifesto for what his perfect society and army should look like. He goes into particular detail providing future followers with an outline of how they should go about building bombs, weaponry and military equipment. Breivik sees himself as a crusader warrior fighting for Christendom. He claims to be a member of a secret society that was “re-founded” in April 2002 in London under the name Pauperes Commilitones Christi Templique Solomonici (the poor fellow-soldiers of Christ and the Temple of Solomon, PCCTS) or more succinctly the Knights Templar or, as he continuously refers to himself, a “Justiciar Knight.” In this medieval light, Breivik’s concerns are focused around the growing Islamicisation of Europe and the ‘cultural Marxism’ that is allowing Europe to let itself get taken over by Islam. These experiences seem to have had an impact on him from a relatively young age and his first political experiences (detailed above) were all with right-leaning parties that had strong anti-immigration platforms. Breivik is eager not to paint himself as a racist though, highlighting that “I have always been terrified of the prospect of being labeled as a racist, to such a degree that I have put significant restrictions on myself, not only verbally but concerning all aspects of my social image. And I know this is the case for a majority of Europeans. I would say I have allowed myself to be paralyzed by fear.” He goes on to condemn neo-Nazi’s and national socialists saying that they are either ignorant or that they are unreliable hooligans. In Breivik’s eyes, he is different from these individuals as he sees himself as a defender of a European identity that is being overwhelmed by Muslim masses, rather than someone who despises anyone that is not of European stock like him. Serbia plays an important role in Breivik’s ideological formation. He stoutly declares that the NATO war on Serbia in 1999 was the “tipping point” for him to go in the ideological direction he went – though this is somewhat contradicted by the fact that he remained active in mainstream Norwegian politics for a number of years yet; something that suggests that he had not gone completely down the path of violence yet and something of a post-facto determination on his behalf. He claims that in 2002 he travelled to Monrovia, Liberia where he sought out an individual Serbian nationalist who was living there and he was obviously very impressed by him. At other points in the book he praises Radovan Karadic as a great man and lists him as one of his most revered leaders. He sees the wider victimisation of Serbia within Europe as a fundamental part of Europe’s surrender to Islam. There is also a strong strain of Christianity in his ideological framework. He reports choosing religion at age 15 and his imagery is all drawn from the Crusader canon. At one point in his journal, he admits praying, and admits to how long it had been: “I prayed for the first time in a very long time today. I explained to God that unless he wanted the Marxist-Islamic alliance and the certain Islamic takeover of Europe to completely annihilate European Christendom within the next hundred years he must ensure that the warriors fighting for the preservation of European Christendom prevail.” This neatly summarizes the underlying ideology that Breivik ascribes to. All of the things he prepares for are individual acts, like self-interviewing himself or preparing himself for future media interviews he expects to give, “philosophizing”, going for long walks, listening to motivational music. This is the archetypal lone wolf attacker of any ideological stripe, and the image he paints is undoubtedly the one that most concerns security planners when they are assessing the threat matrix. What is intriguing about Breivik’s narrative is the fact that he makes no mention of Louis Beam or Ulius Louis Amoss, the men who first laid out the notion of “leaderless resistance” that best provides a strategic framework within which to consider the strategy of Lone Wolf terrorism. While Beam advocates for small cell resistance, he does also mention individuals taking up arms by themselves. The correlation comes in the notion that the individual or small cells are going to be scattered around and out of contact with each other, and consequently need to act on their own – an approach that lends itself conveniently to individuals pursuing a path of Lone Wolf activity. It could be that he simply did not come across them – something that would be surprising given what an assiduous Internet user Breivik seems to have been. Or it could be that he did not want to be associated with Beam, a notorious racist leader of the Ku Klux Klan. At the same time, however, he could have simply referred back to Beam’s source material, coming from Amoss, a US intelligence officer who first coined the strategy as a final resort should communism successfully invade mainland America. This anti-communist message would have resonated with Breivik and it is curious that he did not use it. Religion plays a role in Breivik’s life – while it is unclear whether he considers himself a holy warrior or rather the identity of a crusader is useful as an image of someone defending European identity (that happens to have religious connotations), he does see Islam and Muslims in Europe as opponents, something that highlights that religion is something that he focuses on. His teenage years were important in the formation of his religious identity: Breivik reports being baptized and confirmed at age 15. He is captivated by the global clash of cultures and ideologies that have been a defining feature of the past ten years – specifically through what he sees as the Islamicization of Europe. He further seems to have personally experienced the issues – he may discuss them quite breezily, but Breivik lists nine specific instances over a decade in which Muslim youths have attacked him, suggesting a quite strong personalized rage in reaction. Breivik is clearly in the ideological thrall of the anonymous older Serbian whom he apparently met in Monrovia. The fact he made such a long and expensive journey to meet him suggests previous contact as well. In Breivik’s ideology he repeatedly paints himself as a lone vanguard and lone warrior and he seems to be content in this role. Yet at the same time, there is no clear evidence that he was planning on dying in the course of his action. He continually accepts this is a possibility (at one point he says: “I know I will die fighting…and that’s not a problem for me at all.”), but he is also constantly preparing himself for what happens were he to be captured. Breivik claims to have been thinking about his big plot for almost a decade, certainly his direct attack planning took over a year at least, with some time before that dedicated to ideological formation and raising of funds. This element has been touched on to some degree in the ideology section, but within the context of him as a Lone Wolf it is important to highlight the exact extent of his connections and contacts. Breivik appears to have operated on the fringes of an extremist community. Aside from being an active participant in online forums focused on far right or anti-Muslim views, he also appears to have been in contact at various points in his past with other individuals and groups operating on the far right fringe. When arrested, Breivik seems to have alternatively claimed that he was alone and that other cells existed that would follow his action. Subsequently, he maintained this story, claiming that “two more cells” were working with him. However, at time of this writing there has been no evidence of this, suggesting that these other individuals either did not exist or that Breivik had overestimated their dedication to the cause that led him to carry out his act. Nonetheless, Breivik’s own treatise explaining his act offers a long list of individuals whom he claims to have had contact with, including a secretive network of “Justiciar Knights” with whom he was inducted into the reformed Pauperes Commilitones Christi Templique Solomonici (PCCTS). In his text he lists them as: two Britons, and single individuals from France, Germany, Holland, Greece, Russia, Norway, Serbia – as well as a missing Swede, Belgian and European-American. Presumably Breivik is the Norwegian he is referring to. According to Breivik they met in London in April 2002 in separate groups of four founding members and a host as a precautionary security measure. Breivik reports that at 23 years old, he was the youngest one at the meeting. The groups were told not to stay in contact and to go away and “cut off contact indefinitely.” One of the British men takes a mentor role with Breivik; he anonymises him by calling him “Richard.” But aside from him and the Serbian living in Monrovia, it is unclear that Breivik knows the identities of the other participants. At one point Breivik reads a newspaper story about the theft of the “Arbeit macht frei” sign from the entrance to Auschwitz by a Swedish group, and wonders whether this might be a Swedish “sister cell” presumably formed around the Swedish individual. However, he dismisses this notion quickly though it is unclear whether this is because he knows the identity of the Swede or because it becomes clear it is a clumsy neo-Nazi effort. For the most part, however, Breivik is very careful not to name people in his document out of a sense of operational security. Whether this is a genuine concern or whether he was delusional is unclear at this point, but there is some evidence that Breivik was in contact with British anti-Muslim extremists like the English Defence League (though Breivik does dismiss them as naïve in his writing). He appears to have attended some of their marches and was Facebook friends with a great many. He further seems to have quite a fixation with the United Kingdom – his chosen name was clearly British (maybe a nod to the fact he was actually born there), his mentor “Richard” was a Briton, he gave London as the dateline for his magnum opus (the ‘compendium’), he expresses great anger at British political parties in particular in his text, and of course his indoctrination into the PCCTS took place in London. All of which sent security services in the UK off to busily track his contacts down, suggesting as it did an active network in the UK. As was highlighted before in the ideology section, however, it seems clear that Breivik was eager to paint himself as a lone warrior who was a single sleeper cell that was self-indoctrinated and planned over a period of nine years with minimal interaction with others. His own account of obtaining equipment suggests he did this by himself with no outside support. He is also meticulous in building cover stories for himself prior to purchasing items that are commonly available but could raise suspicions if bought abruptly and in large quantities. From an ideological standpoint some key meetings seem to have helped form his worldview, specifically his meeting in London in April 2002, though a number of key interactions appear to have taken place online as well. Based on current information, Breivik was acting alone. He was, however, on the periphery of the far right and anti-Muslim ideological community in Europe with some links and interaction with such groups. He seems to have drawn some ideological sustenance from interactions with them, though he seems also to have concluded that they are not to be trusted with information and do not necessarily share his goals. He also seems to have believed he was part of a wider network that he does not appear to have much immediate interaction with or knowledge of where they are currently located. A key element of any terrorist plot or attack is the degree to which it is able to disseminate terror or chaos. Understanding how effective an attack is, or might have been, offers analysts a metric by which to classify a terrorist attack. Breivik’s attack was clearly a highly successful one. If reports in the press of his statements are to be believed, he himself was surprised at the success he was able to achieve, expecting to be either captured or cut down in the wake of his bombing of Oslo’s political heart. However, he was able to carry out a solo twin-attack with a grim efficiency at a cost of 77 lives. 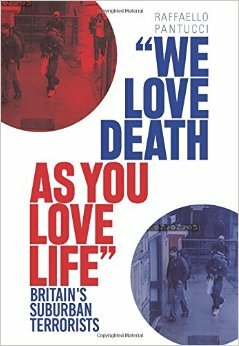 The attack itself was clearly planned far in advance (according to Breivik’s own writing, he had started to formulate his plan almost nine years prior to action) and had the hallmarks of a clearly conceived and executed plan. His operation had two phases to it, first a bombing in Oslo’s political district; and second, a mass shooting on an island where the youth wing of the ruling Labor party was holding an annual conference. In a particularly cunning move, Breivik was dressed as a policeman when he arrived on Utoya Island where the aspirant politicians were staying, claiming in the first instance to have come to talk to them as a result of the bomb blast in Oslo. Having gathered some around him, he then opened fire, marching methodically around the island for almost an hour and a half shooting people as he found them. According to eyewitness reports from the island, he walked around and calmly shot individuals who were running away. He furthermore went around methodically shooting bodies he found on the ground suspecting, correctly, that some were individuals who were masquerading as dead to evade him. He appears to have attempted to lace his bullets with nicotine poison, though it is unclear how effective this was. In preparing for his act, Breivik was careful both in obtaining the necessary weapons and bomb making materials without raising security officials concerns. One dubious chemical purchase he made from Poland in March 2011 did raise red flags, but at the same time, according to the head of the Norwegian intelligence service, there had not been enough evidence to investigate this further. Breivik describes trying to go to Prague to purchase weaponry, a trip that was a failure and resulted in him instead utilizing legitimate avenues to purchase weaponry in Norway. Breivik is an example of what an effective lone wolf attack can look like. Breivik was meticulous in his long-term planning for every aspect of his operation. Having defined what he is going to do, he then goes about preparing for it building cover stories at every stage. If he is to be believed this was his focus for nine years, though it is likely that actual planning was conducted over a much shorter time period. Breivik appears to have been interested in utilizing chemicals to enhance the damage he inflicted, but it is unclear how successful he was in doing this. He was also very effective in using the Internet (as shown in next section) to establish a database of individuals who would read his text and maybe agree with parts of it and who would help further disseminate it. In this he appears to have been very successful. Often with Lone Wolves or Lone Actors, it is the Internet that acts as a catalyst or plays a supportive role in pushing the individual from radical thought into action. This plays out in a number of ways: lost individuals can find fellow believers through the Internet, networks can establish themselves over long distances without the individuals ever knowing each other and individuals seeking to conduct some malicious attack can find operational guidance and support using the Internet. The Internet appears to have been a key tool for Breivik, both in ideological terms and operational terms. In the first instance, it seems clear that his treatise is based mostly upon research he conducted on the Internet, mostly trawling through right-wing and anti-Muslim forums. It has since been reported in the press that he was an active participant in discussions online, though other participants or moderators highlight that he did not particularly distinguish himself as being an extremist. In his ‘compendium’, Breivik mentions that he spends time online ideologically guiding others in these discussions – clearly seeing himself as a more active participant. He seems particularly impressed with a blogger named Fjordman, though a number of other individuals appear regularly in his citation lists. In some cases, he appears to have tried to shift online interactions into real world ones. He claims to have tried to meet with Fjordman, but failed. He also says that he met a community of Serb conservatives online whom appear to have played a crucial part in his ideological formation. One is the unidentified Serb who lives in Monrovia, but he appears to have found a community online of such individuals who had a considerable influence upon him. So much so that he was willing to travel to Monrovia to meet the individual. He also appears to have been quite innovative in his use of the Internet as a tool to obtain material and information to support his action. When planning his trip to Prague to buy weapons he used a Hyundai discussion forum for tips on how to make the trip from Oslo to Prague by car. He reports that alibaba.com, a Chinese website linking Chinese manufacturers to global retailers, is a particularly good source of chemicals and materials. He also used eBay and a number of sellers in the UK to purchase chemicals and tools. He uses a wide array of different websites to locate different tools and to collect information on building bombs, chemical mixtures, ideal body armors to use and so on. In addition to using the Internet as a source of material, he claims to have raised much of the money he uses in his action through establishing companies whose business model is based around e-commerce. The Internet not only plays a role in his information collection and fundraising, but also in information dissemination. He uses Facebook as a tool to locate ideological fellow travellers or potential supporters and spends considerable time ‘email farming’ by ‘friending’ individuals whom he believes hold views similar to his and then once they have accepted, collecting their email addresses off their profiles. He creates two profiles to do this from and apparently uses up his daily allowance of 50 friend requests regularly in trying to gather this data. Presumably, he also does this through identifying individuals from his regular visits to far right or anti-Muslim websites and forums. Finally, the Internet also appears to play a key role in his downtime. Breivik regularly admits to enjoying playing computer games, and in particular demonstrates a fixation with multiplayer role-playing fantasy games. At one point he admits that this was practically his entire occupation for a whole year. As a modern man brought up in an Internet age, Breivik appears to have been very much at home using the Internet and was able to navigate ideology and operational information with ease. He repeatedly demonstrates a knowledge of Internet masking technology and at a number of points says that he destroys his hard drives to hide any evidence of what he is doing or of having security services somehow compromise him. There is evidence that Anders Breivik sought ideological and operational support online. Breivik demonstrated a high level of Internet savvy and capacity to mask his online activity. However, it was an online purchase from a foreign country that did put Breivik on Norwegian intelligence’s radar. A further complicating factor when looking at Lone Wolves or Lone Actor terrorists is how to separate and distinguish them from those individuals who for their own perverse reasons decide to open fire on crowds of random foreigners. What is the distinct feature of individuals who are motivated by an ideology to carry out a terrorist attack versus individuals who launch mindless orgies of violence due to some chemical imbalance? This is a difficult line to draw and this author is conscious of the deficiencies in his own analysis in this aspect. In an earlier paper, this author concluded with the possibility that some sort of social inadequacy and general sense of alienation from society might leave an individual prone to going to seek radical ideas that might in turn lead to terrorism. Following this line of analysis and the subsequent official Norwegian report that seemed to indicate Breivik may have been mentally unstable, this section will analyze the degree to which at this point the individual’s mental competence has been called into question or issues have been highlighted. Breivik’s sanity has been questioned by his own lawyer. And an early assessment by Norwegian professionals concluded that it was unlikely he is going to be declared legally insane given how hard it would have been for someone insane to carry out an act with such methodological effectiveness. However, a subsequent psychological evaluation did conclude that “Anders Behring Breivik during a long period of time has developed the mental disorder of paranoid schizophrenia, which has changed him and made him into the person he is today…. [they uncovered] grandiose delusions whereby he believes he is to determine who is to live and who is to die.” The immediate result of this is that it is unlikely he is going to serve his time in a prison, but it is not clear what the value of this assessment is within the context of trying to understand Breivik as a Lone Wolf terrorist. On the one hand, it does help de-fang the impact of his attack from an ideological perspective and would depress Breivik who sees himself as a warrior rather than a madman, but on the other hand, it is unclear whether it would impact potential copycats or others who read his text and find it convincing. Doubtless for them, this assessment would be seen as part of a grander conspiracy. But this post-fact analysis apart, there is no evidence that Breivik was not able to function perfectly in everyday Norwegian society. Some stories have emerged of him as a cruel and duplicitous child, but it is almost impossible to verify these in the current overheated climate surrounding his act. In a subsequent interview, his mother revealed that as early as 2005 he had demonstrated some strange activity, moving back home talking obsessively about politics and history “totally beyond reason and [believing] all the nonsense he said.” By April 2011 he was still living at home and had started acting in an even stranger manner, wearing an antiseptic mask around the house, refusing to eat food she had cooked for him and calling the family doctor accusing her of infecting him with some illness. Breivik’s act clearly seems the actions of a sociopath – his methodical murder of young people in cold blood and willingness to commit mass murder for a cause he knows is unpopular. However, he says that he is outwardly appalled by his own acts, but that they were “necessary.” All of which suggests at the very least a deep lack of empathy (at the same time, stories from Utoya Island indicate that he did spare some individuals who pled for their lives in front of him). Breivik demonstrates a high level of narcissism and he is reported to have told people he had plastic surgery to look more Aryan. Something he subsequently is reported to have regretted, having concluded that he previously “had a great Nordic nose.” Throughout his text he talks constantly of how good he looks and he mentions how easy it would be for him to get girls because of his charm and good looks. The posed pictures he places at the end of his ‘compendium’ – pictures that have become the standard images of him in the public domain – show him as he clearly wants to be seen. And prior to conducting his act, Breivik not only prepared how he wanted to be seen by the world, but he also practiced drilling himself for possible interviews he might have to undergo. All of which demonstrates a very high level of self-obsession. Currently, Anders Behring Breivik has displayed no evidence of obvious insanity beyond the official preliminary Norwegian psychological report. The ideological framework (as currently understood) he offers holds up as a driver for his actions with some coherence. Breivik was, however, clearly a narcissist and obsessed with his own image. As we see in previous sections, he spent a lot of time preparing for what would happen post-event and appears to have undergone cosmetic surgery to improve his image. This all suggests a high level of self-involvement and obsession. In his chosen targets, he demonstrated a specific anger at the government and the ruling Labor Party in Norway – both in their Oslo offices, and in their summer camp. This reduces the lunacy claim, but does emphasize the importance of conspiracies in his outlook. Using the typology identified in my earlier paper, Breivik fits the Lone Wolf profile since he has demonstrated substantial connections to other far right and anti-Muslim communities globally. Yet at the same time it is unclear that they have any operational command and control with regards him. It is not even clear that his PCCTS network of individuals has any idea of what he was planning or would have known – it seems like the group set up before disbanding for security reasons so that the individuals could all go plot by themselves. Breivik’s action demonstrates the potential danger that can be posed by a Lone Wolf attacker. Intelligent enough to be very cautious in how he goes about his action, he is able over a long period of time to assemble a large and effective bomb and gather weapons and ammunition. He withdrew from the world moving to a farm where he prepared his bomb. From an operational counter-terrorism perspective this is not that useful a conclusion – identifying individuals who suddenly drop off the radar is by definition hard to do. And particularly when there is little evidence in their previous behavior that this is what they are about to do. Breivik relied heavily on the Internet to provide him with motivation and operational information. Breivik went online to find fellow believers and supporters and seems to have found his way into the PCCTS through the Internet. He also appears to have been active in far right and anti-Muslim forums and websites and was apparently an avid consumer of the type of literature that they churn out. None of this is that useful from an operational counter-terrorism perspective except if technology exists that is able to somehow connect online surfing behavior of individuals who are active on extremist forums with their online purchasing patterns. This might have detected Breivik at an earlier stage, though the careful manner he claims to have operated online and build cover stories for his purchases also suggests that this may not have been possible. Carefully planning notwithstanding, Breivik did come into contact with security services when he attempted to purchase a specific chemical online. This action generated an official reaction, but was too low level to result in deeper investigation. All of this is positive to some degree from a counter-terrorism perspective as it suggests that some level of detection is possible – it then ends up being down to the laborious task of following up every lead (possibly a very high number). Offering another potential avenue for detection, Breivik did purchase actual munitions and was not reliant on completely homemade devices. Given the usual high level of vigilance around weaponry this also offers itself as a detection point – though he used legal methods to obtain his weapons. He started down the illicit path, but recognizing it as too hard, instead went down the legal route and was successful. Clearly, however, unless nations want to pursue situations of zero weapons tolerance for civilians to own weapons it would be hard to strengthen things to the point of detecting someone like Breivik who goes out of his way to fit the correct profile. However, the weapons point does offer another interesting analytical consideration. Looking back at the cases of Lone Wolves historically, it seems as though the vast majority of those took place in nations that have available guns seek to use or gather traditional weapons at some point. Organized and trained terrorist cells seem to sometimes shun such weaponry recognizing that this will potentially bring them to the attention of security services or bring them into interaction with the criminal underworld which, in turn, might also lead to detection. Lone individuals in nations where such weapons are available to the public, however, seem to choose to try to obtain such weapons whether they use them or not. Certainly in many cases described as ‘Lone Wolf’ in the United States, guns are purchased and used. In contrast, in most European nations where guns are hard to obtain or unavailable, individuals resort to homemade weapons – for example in the UK the separate cases of home bomb makers Andrew Ibrahim and Nicky Reilly and attempted MP murderer Roshonara Choudhry (and none of this is not to consider the growing number of home bomb makers demonstrating far right ideological inclinations). This suggests a detection tripwire for some countries – though clearly, as Breivik showed, there are ways around it if careful enough. A final point on ideologies is important. This Lone Wolf case demonstrates the importance of the Internet in disseminating extremist ideology and operational material. But at the same time, it also shows how individuals can become involved in a global ideological battle that they see swirling around themselves and how, with a little effort, they can become quite actively involved in it in a manner that is dangerous to the society in which they are living. Breivik’s case shows the danger of the virulent anti-Muslim rhetoric that sometimes pollutes the political discourse in the West. Written in self-justifying terms that distance it from racism and Islamophobia and portrayed as a defense of a European identity that is being subsumed by waves of Muslim immigrants, it nevertheless is clearly open to different interpretations if they are sought. As analyst Marc Sageman correctly put it in the New York Times in the wake of Breivik’s act, “this rhetoric [that of anti-Muslim writers] is not cost free.” Breivik’s repeated use of specific websites and writers highlights their importance in shaping his ideology and while these writers cannot be held accountable for what he decided to do with the ideas that they were circulating, they must bear some responsibility for fostering the backdrop against which an individual like Brevik can find the justification for his horrendous act. The reference to Lone/Solo Actor is a nod to the fact that it is a known preferred nomenclature amongst security agencies. “Norway suspect Anders Behring Breivik ‘admits attacks’,” BBC News, July 24, 2011. R. Pantucci, ‘A Typology of Lone Wolves: Preliminary Analysis of Lone Islamist Terrorists’, International Centre for the Study of Radicalisation, March 2011. “Norway killer: Anders Behring Breivik was a ‘mummy’s boy’,” Daily Telegraph, July 25, 2011. “Anders Behring Breivik was insane five years ago, mother says,” Telegraph, November 30, 2011. “Norway Massacre: the real Anders Behring Breivik,” Sunday Telegraph, July 31, 2011. While these details are not all confirmed, the Progress Party has confirmed that he was a member between 1999-2006, “Norway’s right-wing on defensive after attacks,”Associated Press, August 3, 2011. Email farming involves using the Internet and social networking sites to obtain email addresses. Within this context, some consideration must be given of the fact that during his shooting on Utoya Island he made a pair of calls to the police stating that he was a “Norwegian anti-communist resistance commander” and that he wanted to surrender. In both instances, however, he hung up. “Norway massacre: tape of Breivik call to police aired,” BBC News, November 25, 2011. “Norway: Anders Behring Breivik claims ‘two more cells’,” BBC News, July 25, 2011. It is worth pointing out that the majority have completely distanced themselves from Breivik’s act, and in some cases, have closed down sites that he claims to have drawn inspiration from. “Norway suspect ‘bought from British eBay traders’,” AFP, August 1, 2011. ‘Insanity ruling not likely in Norway,” Associated Press, July 31, 2011. “Norway killed Anders Behring Breivik to escape jail as declared ‘insane’,” Telegraph, November 29, 2011. “Anders Behring Breivik regrets loss of ‘Great Nordic Nose’,” Telegraph, November 30, 2011. “Killings in Norway spotlight anti-Muslim thought in US,” New York Times, July 24, 2011. My point is that the anti-immigrant, anti-Muslim ideas that Breivik seems to thrive on are part of a broader narrative that in some European countries is increasingly moving towards the mainstream and becoming accepted as part of it. Politicians of the mainstream should be braver in confronting such ideas and pointing out how wrong-headed they are, rather than simply ignoring them. This does not necessarily have anything specific to do with countering lone wolves, but it does have a lot to do with trying to counter pernicious ideologies. Legislating against such ideologies is clearly a bad idea, but fighting them in the arena of public debate and highlighting their idiocy is a good thing. There are also tall, blond Norwegian Muslims, although Anders Behring Breivik does not seem to be one.